"Moment" specialises in city tours in Bruges, but also offers activities suited to your taste both inside and outside Bruges. In particular, "Moment" focuses on the use of the very convenient Segways. A Segway is a two-wheeled, self-balancing stand-up transporter. The Segway is very easy to control by moving the handlebars forward, backward, to the left or to the right. A Segway is used to travel. Segways are used by police forces, for small cargo transport within companies, for commuter traffic in large cities, for city tours etc. In short, the Segway is there for everyone! 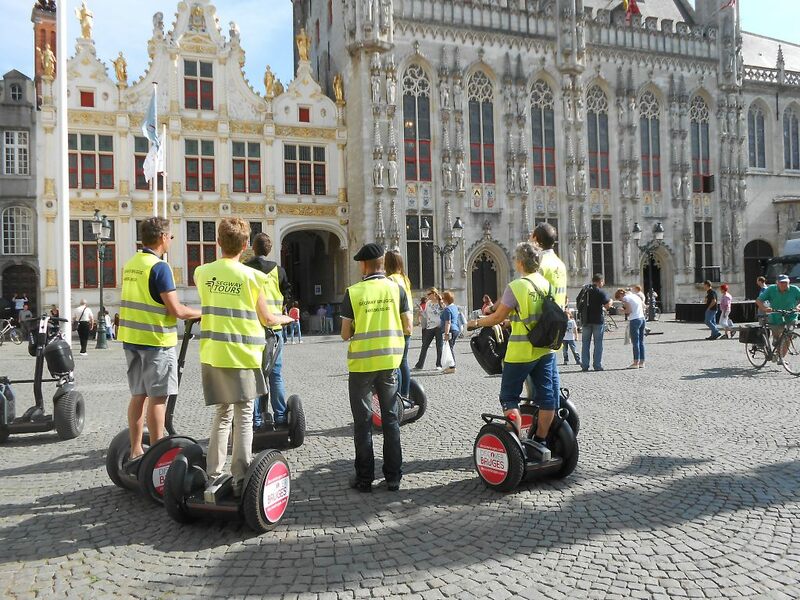 Discover Brugges .. through Segway! We are rolling as a family! Great fun and so different! Good way to know the place! Riding a Segway is truly a unique experience. The Segway is a pleasant means of transportation that ensures that you don’t have to walk long distances anymore and turns transportation into a pleasant experience. The Segway is furthermore also environmentally friendly! It is noiseless and energy-efficient and does not emit any harmful substances. Moment uses the modern Segways for its city tours. A Segway is a two-wheeled, self-balancing stand-up transporter. The Segway is very easy to control by moving the handlebars forward, backward, to the left or to the right. This is by far the best way to see the city and is great value for money. The Segway enables you to traverse the city centre in no time and to reach the most beautiful locations easily. 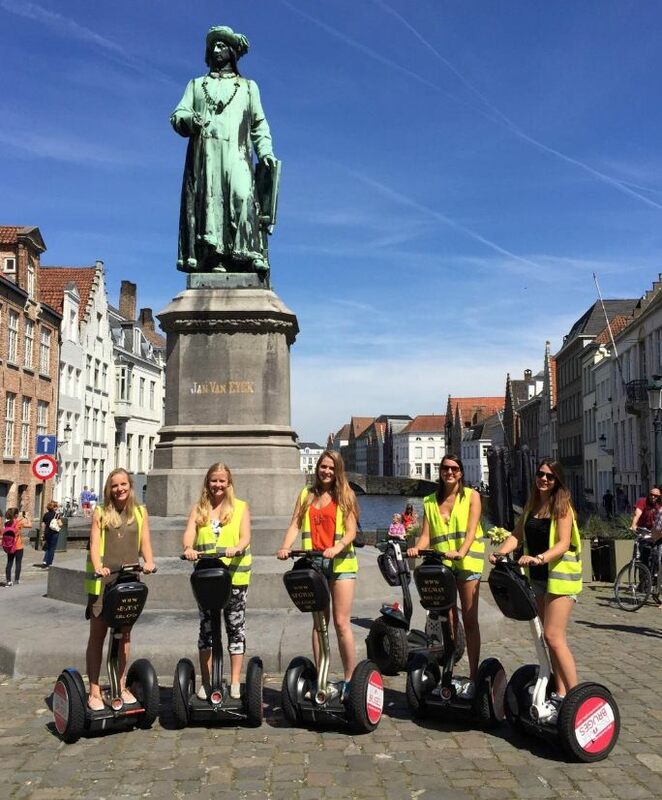 The Segway is the ideal means for city tours and offers a unique experience on top! "Moment" offers companies, associations, clubs and other groups the opportunity to enjoy unique experiences “on wheels”. We show you the most beautiful historical places, the most important monuments and hidden treasures in a unique manner. We guide the group through a city to savour the atmosphere without having to walk long distances.